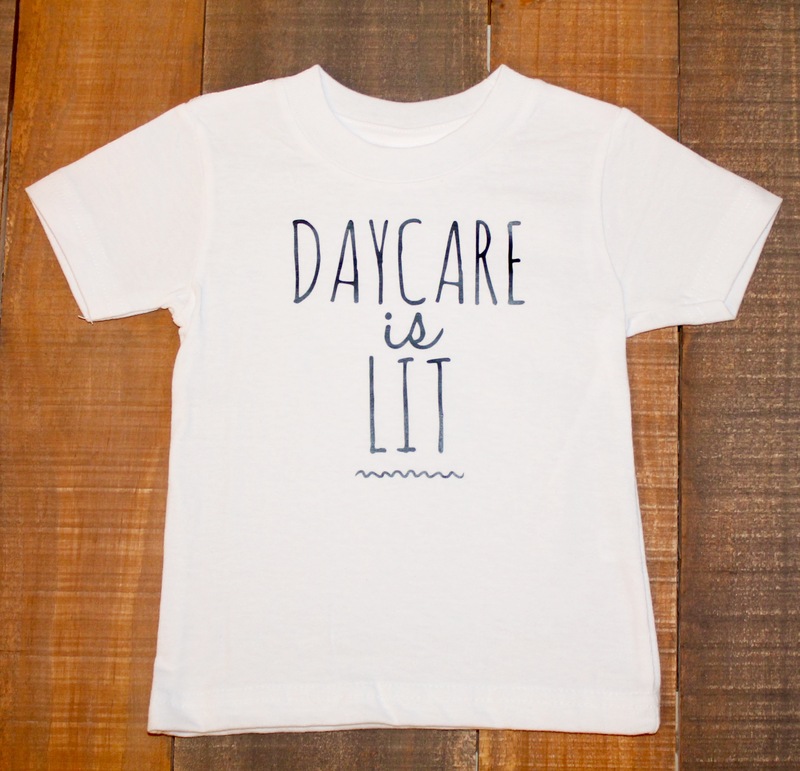 "Daycare is Lit" t-shirts are now available in white. Perfect for your little one that is in daycare. Baby Tote Box shirts are printed on high quality tees that are 100% cotton. Every shirt is made in the USA and hand pressed with love, by the Baby Tote Box team, here in Charlotte, NC. These shirts make a wonderful gift for any occasion...or even for your little one! These are perfect for birthdays, baby showers, or simply a 'just because' gift. Tees are easy wash and wear; no drying cleaning or special care needed! Just machine wash and dry on the permanent press cycle. Be sure that the shirt is inside out to protect the custom design. **Orders ship out between 1 to 2 business days.